Georgia! Tbilisi International Animation Festival. Hurrah! 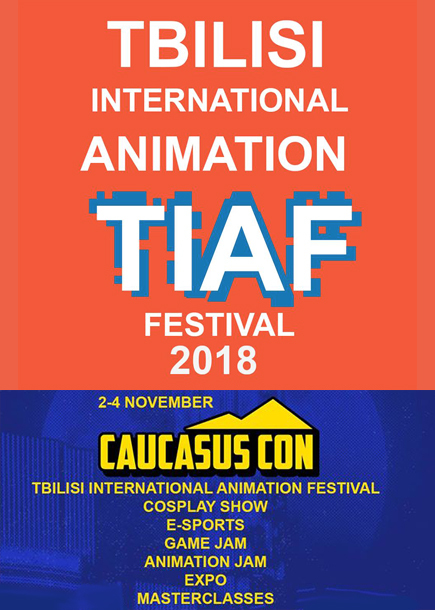 Eternal Hunting Grounds was screened at TIAF – Tbilisi International Animation Festival, 2- 4 November 2018, in Tbilisi, Georgia! Thank you for inviting the film. This entry was posted in Festivals, news on November 15, 2018 by eling. Oh buona fortuna! The film is coming to ITALY! Eternal Hunting Grounds in Hungary! 2018 New York International Children’s Film Festival!